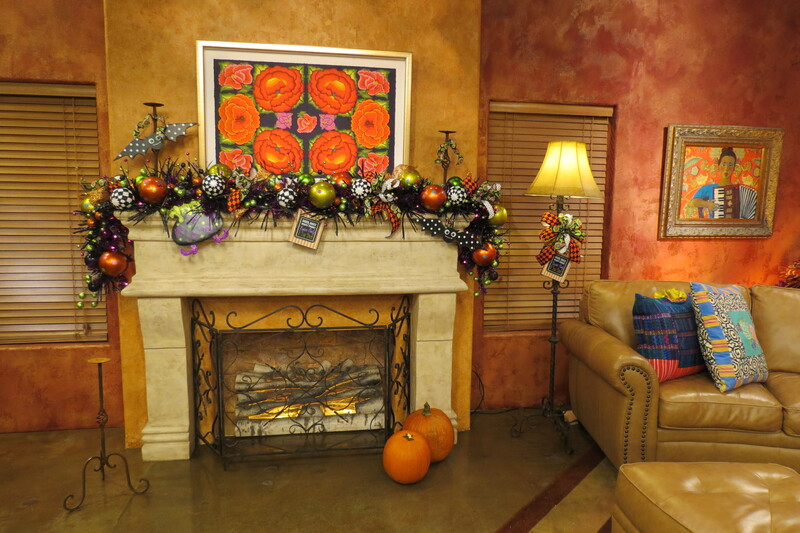 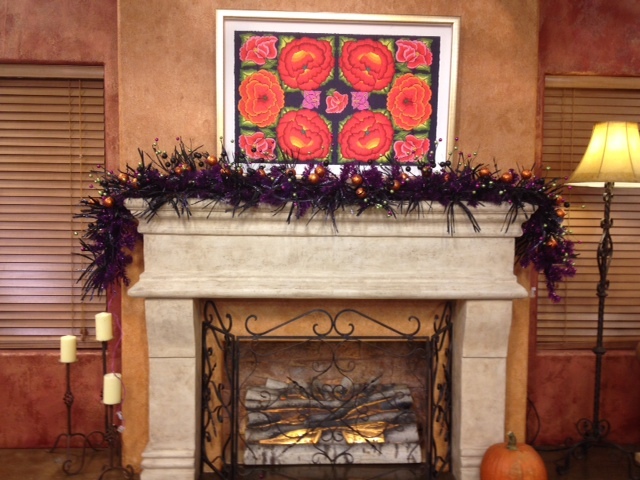 Halloween is such a fun time to decorate and this week we had the opportunity to decorate the set of San Antonio Living morning show. 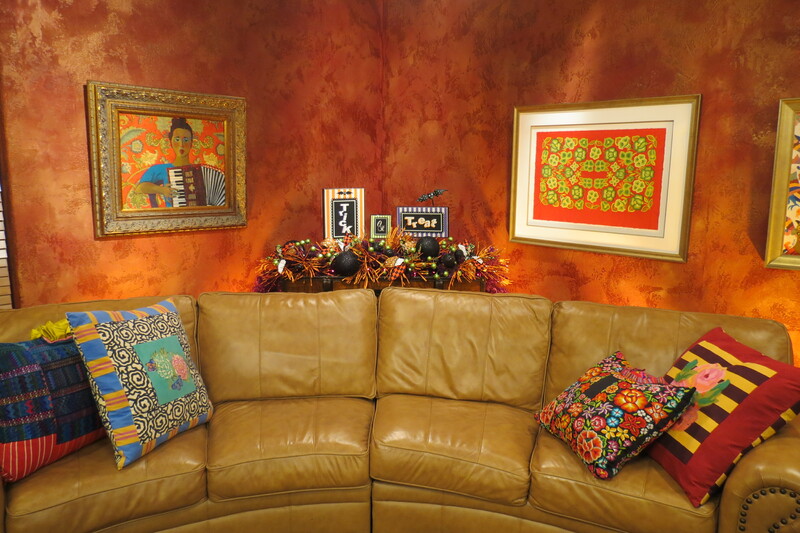 The set is like a large living room with a fireplace, sitting area, kitchen, and sunroom. 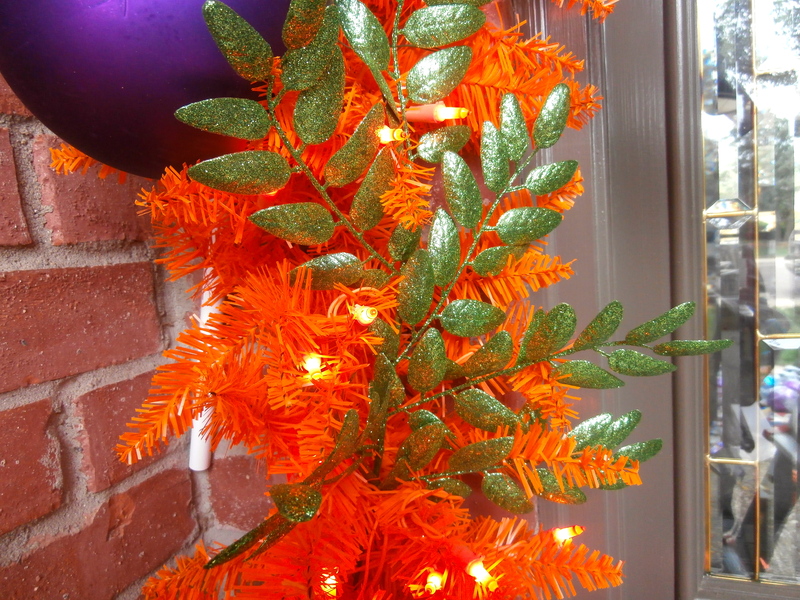 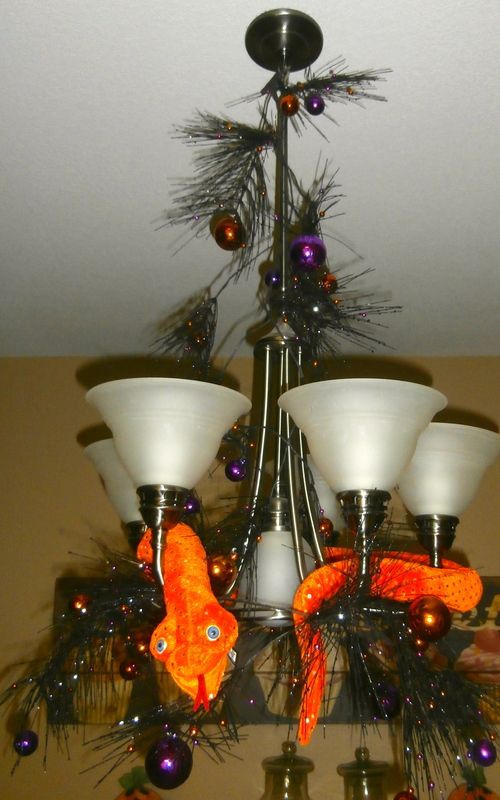 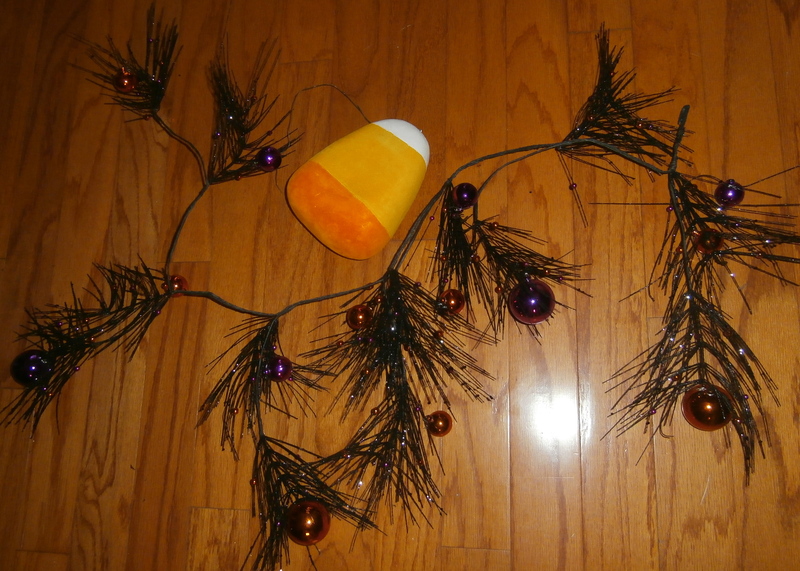 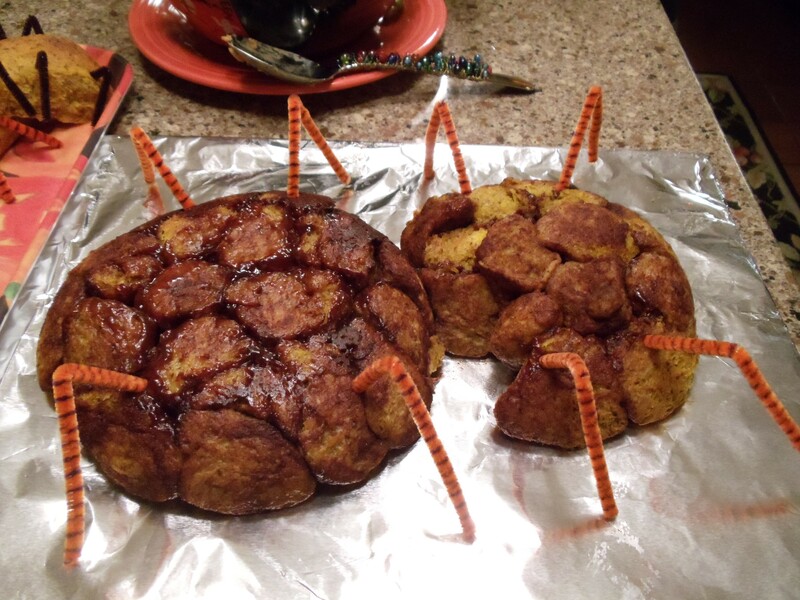 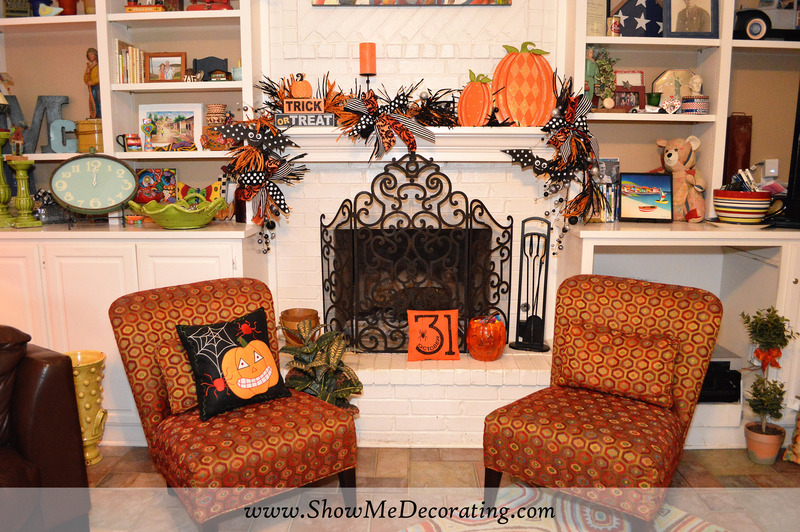 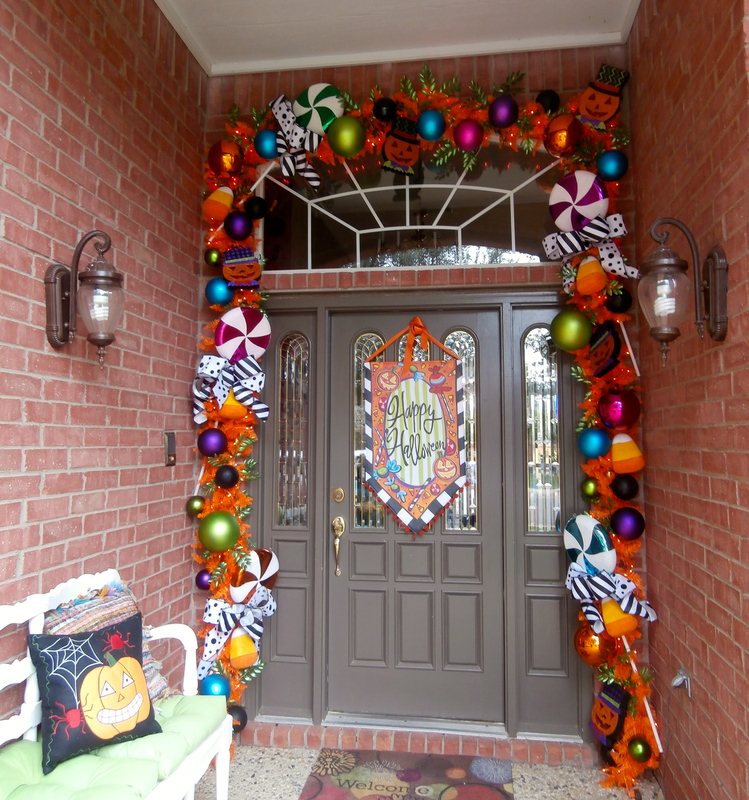 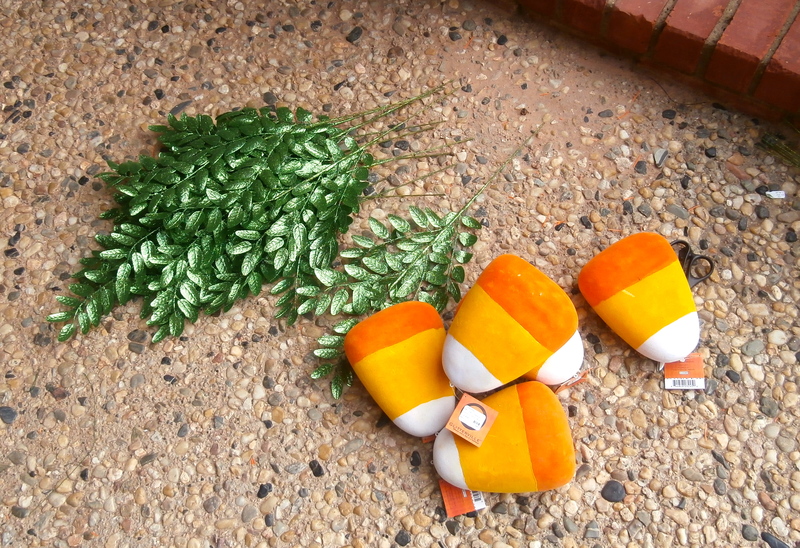 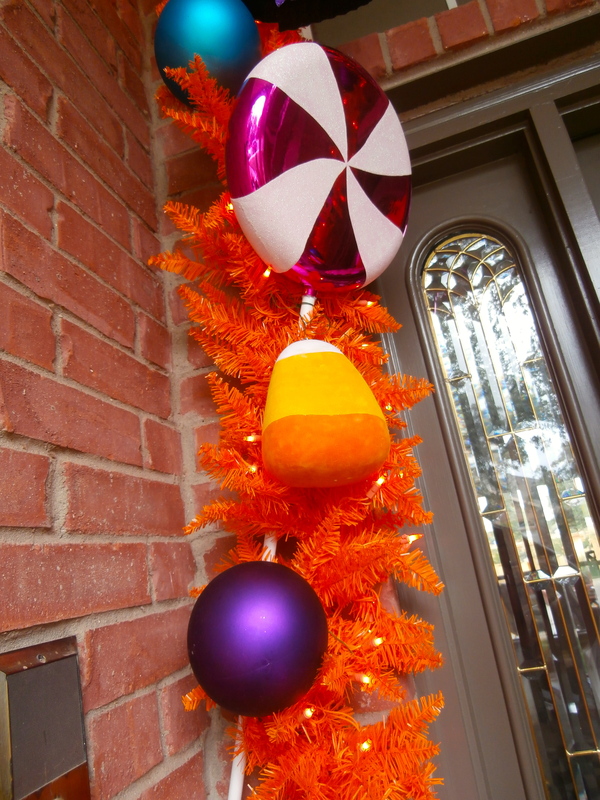 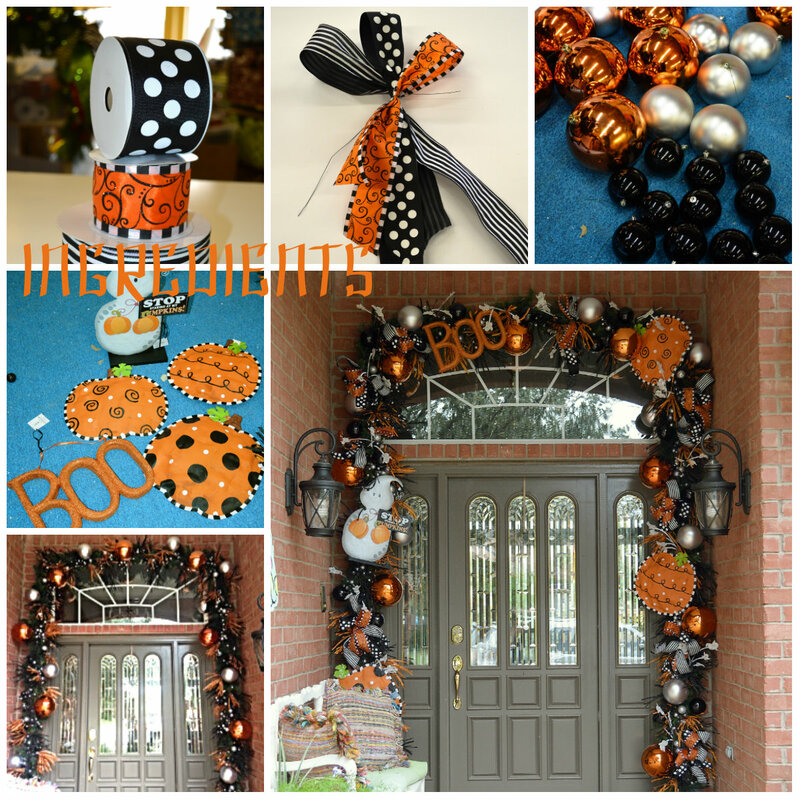 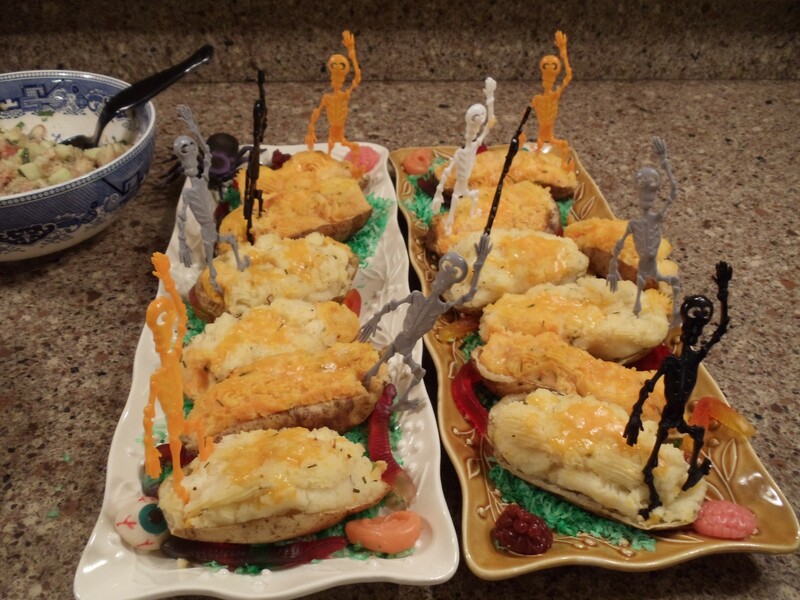 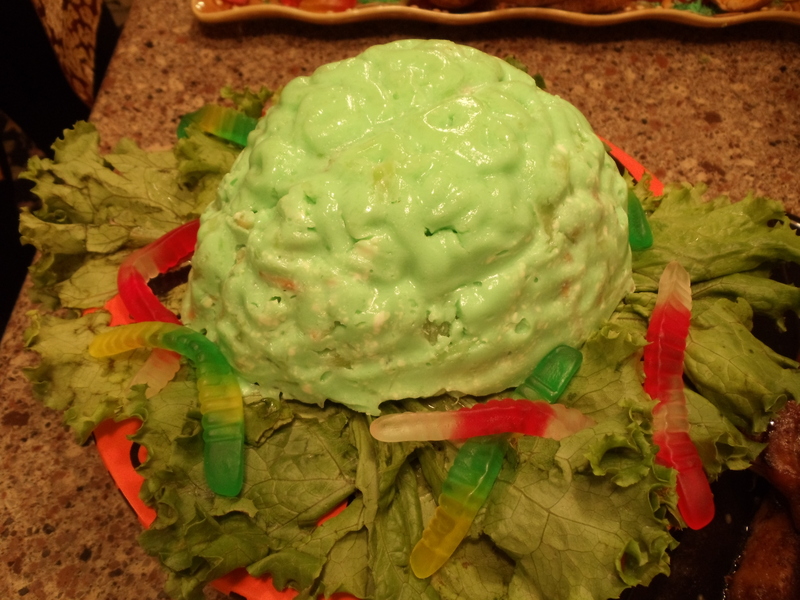 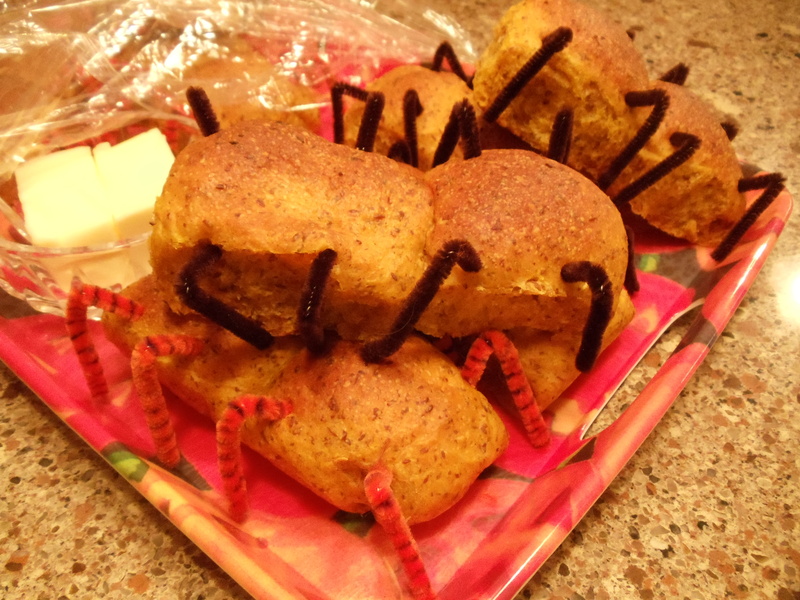 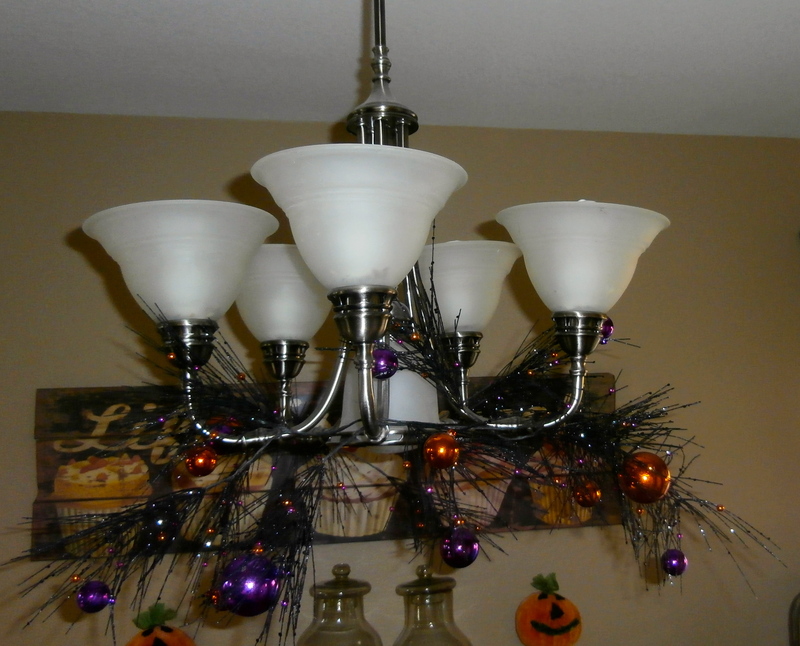 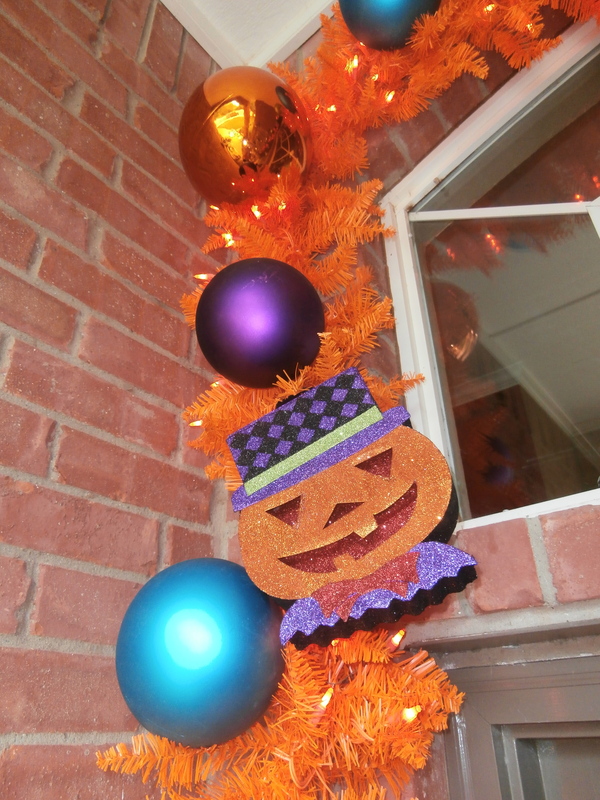 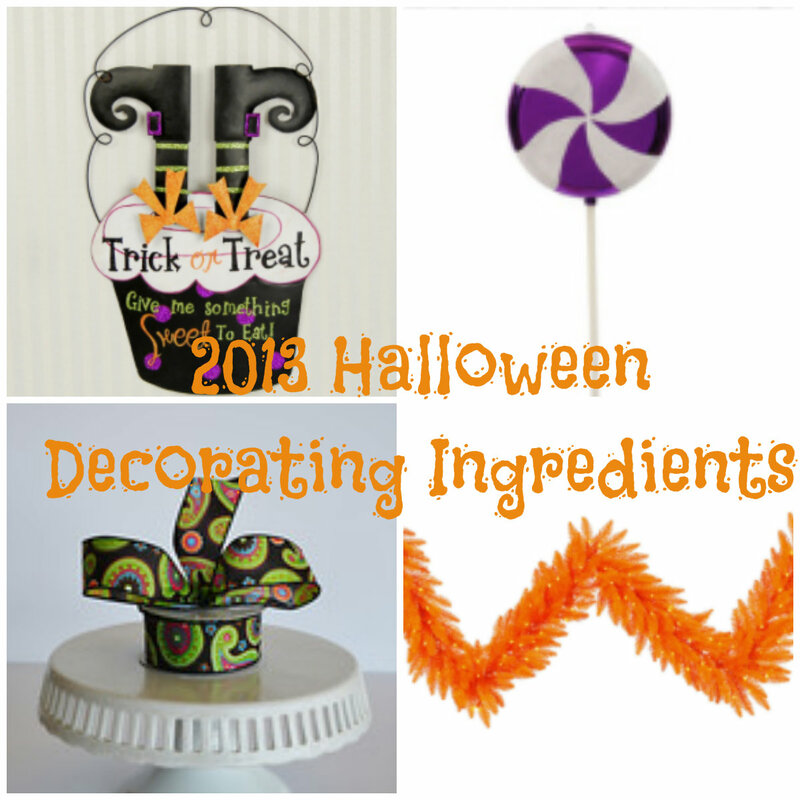 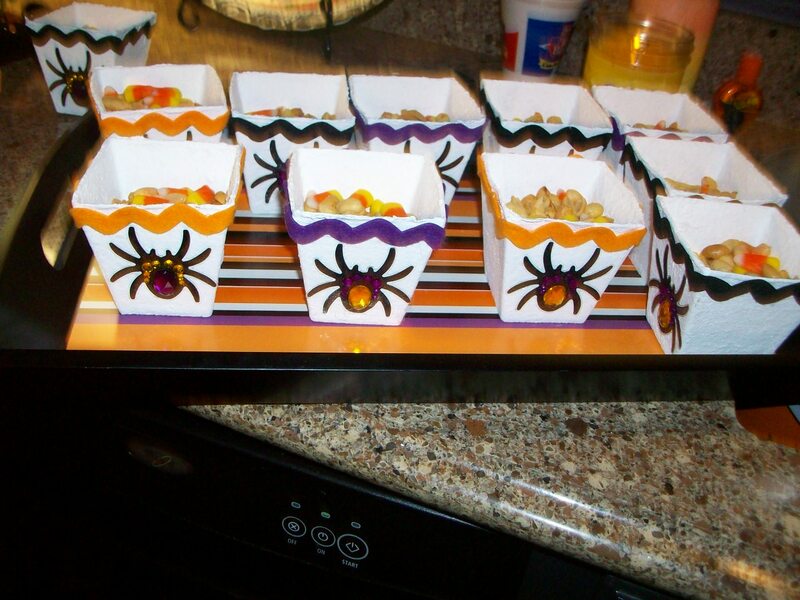 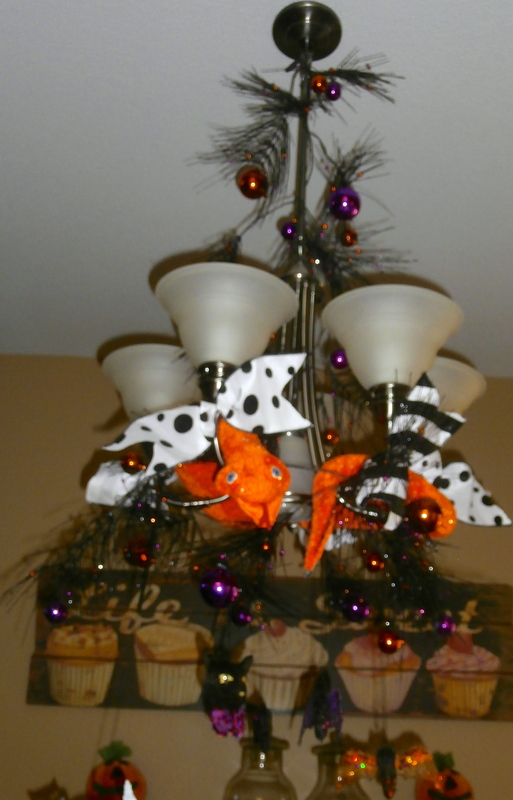 So many ways to show off Halloween decorations! 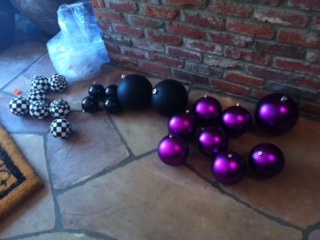 Oops-we still need to add the candles! 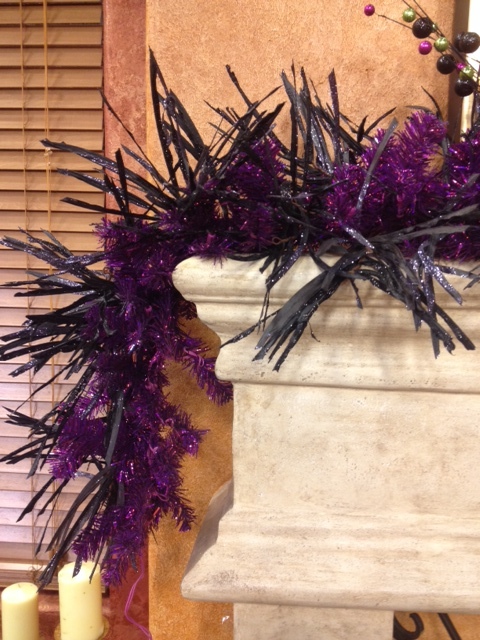 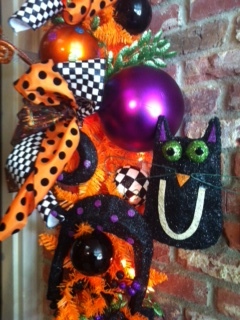 A Garland can go so many places-on a mantle, on top of a table, over a door! 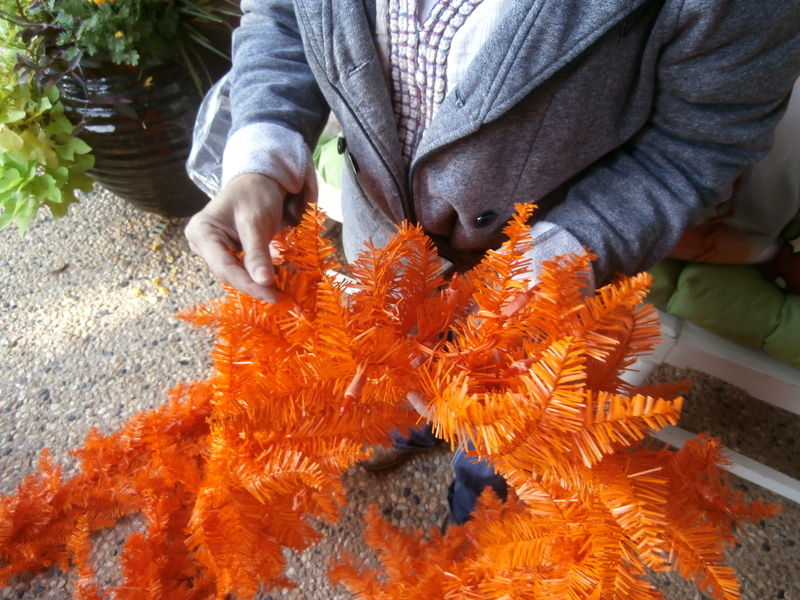 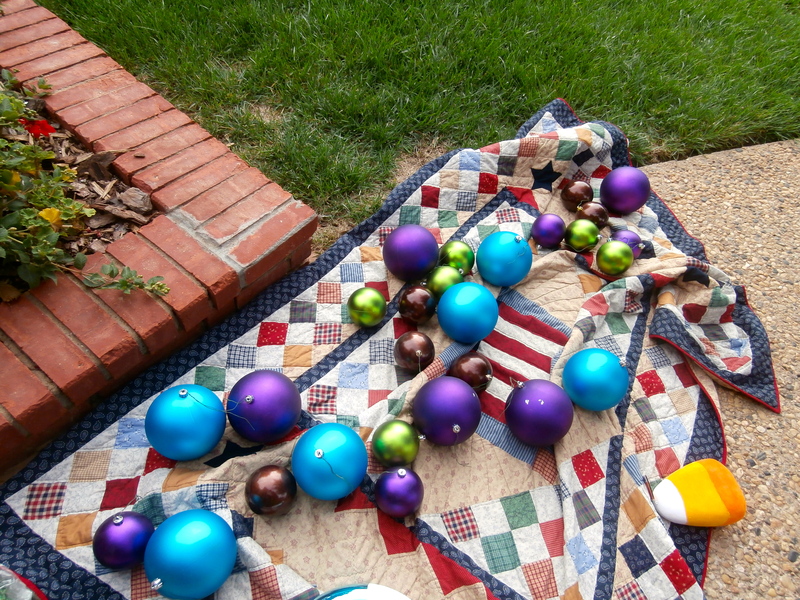 Did you know garland comes in lots of colors? 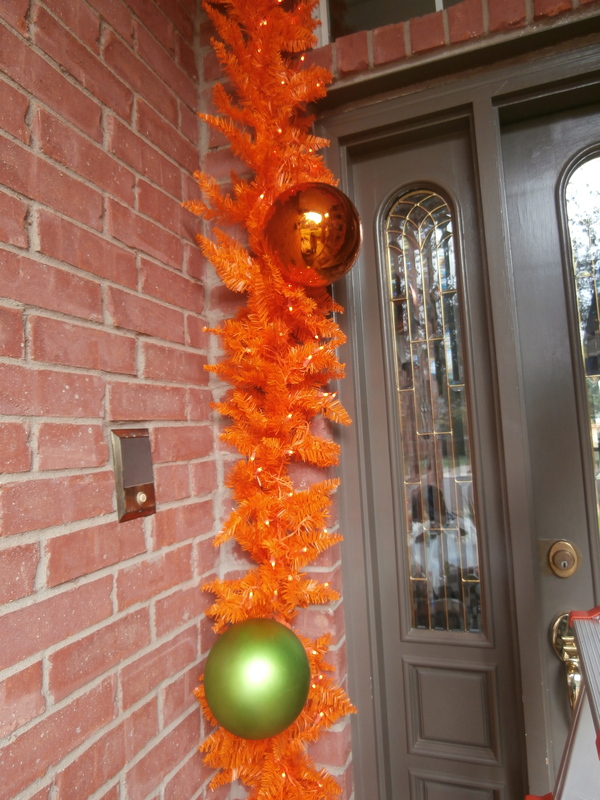 It’s just not your Christmas green. 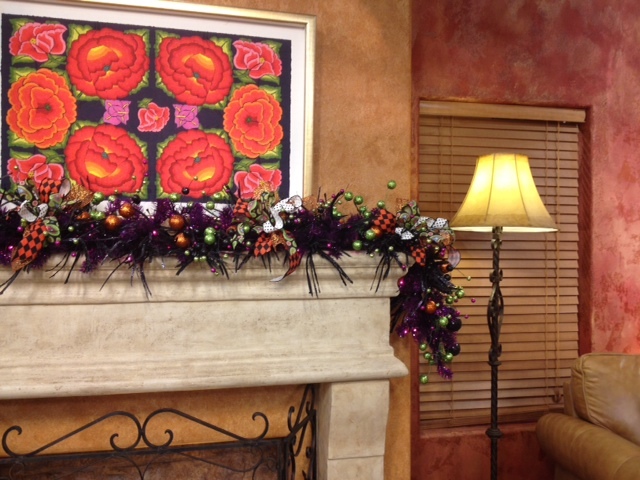 Purple looks great with the orange walls at SA Living. 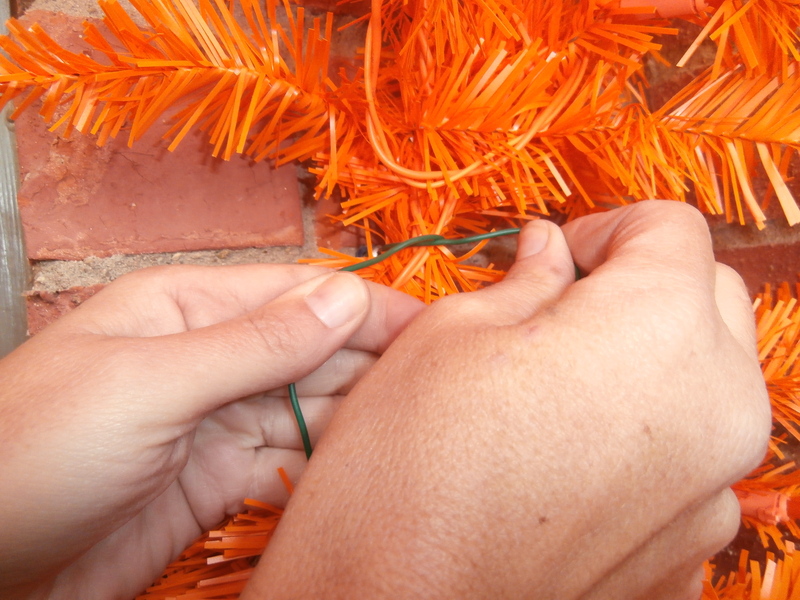 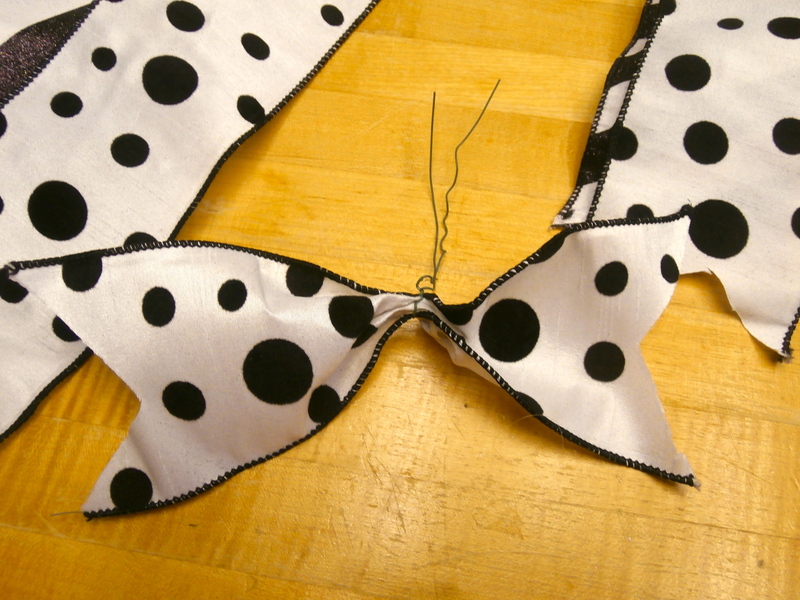 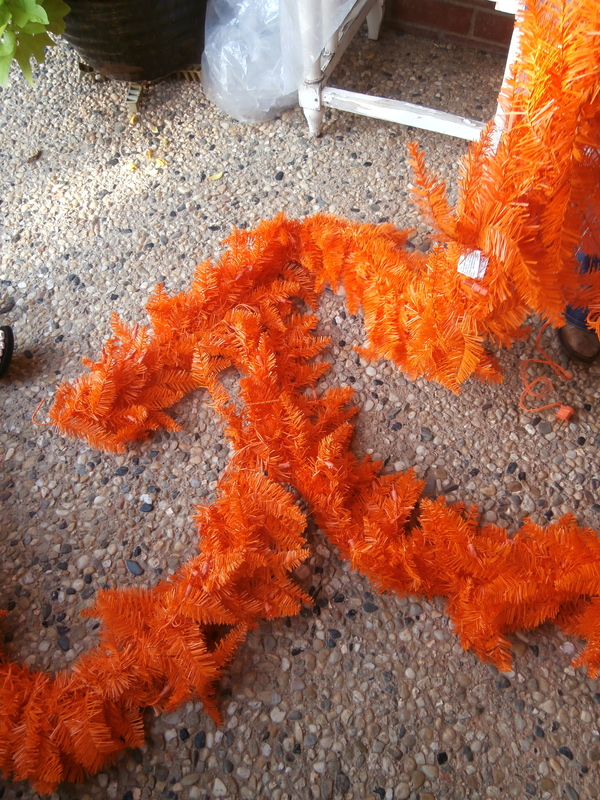 When you add in ribbon to garland, it can be full bows or half bows. 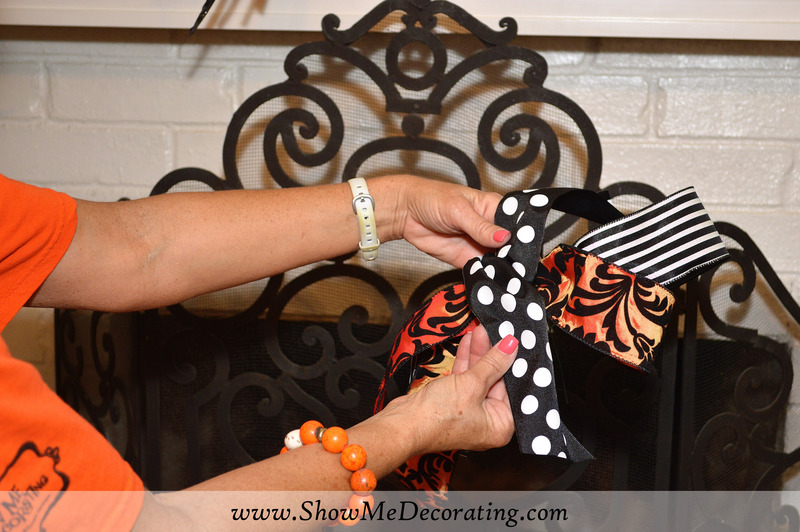 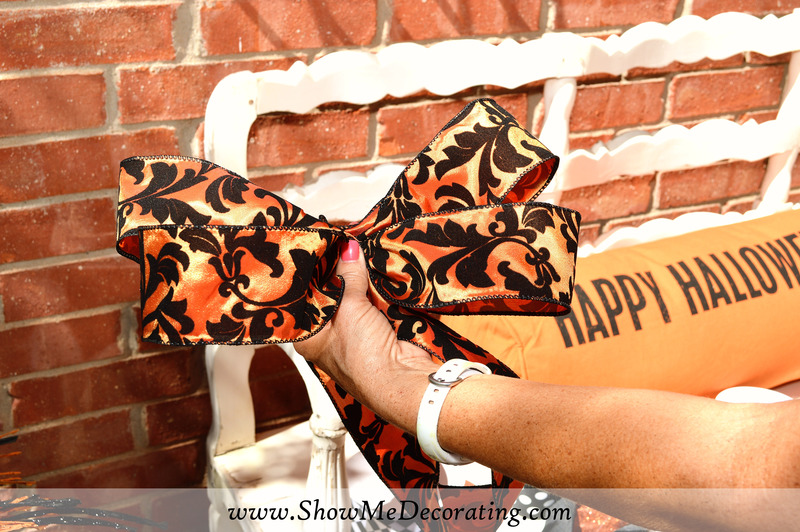 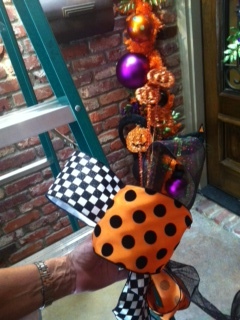 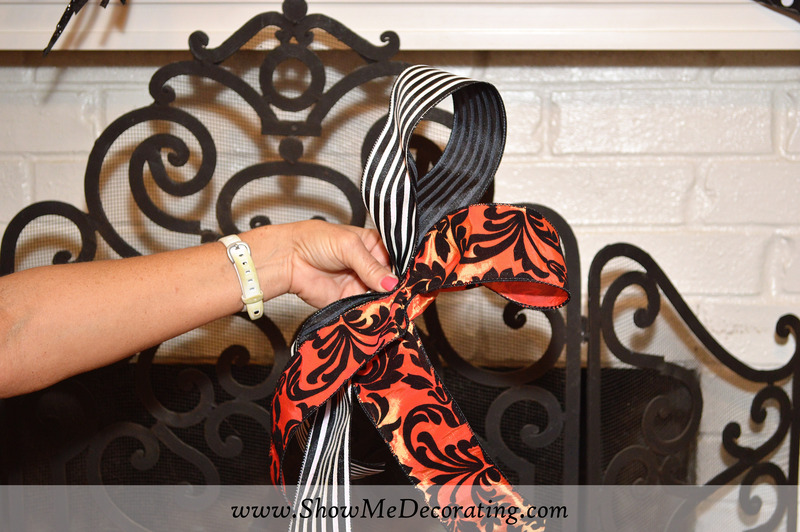 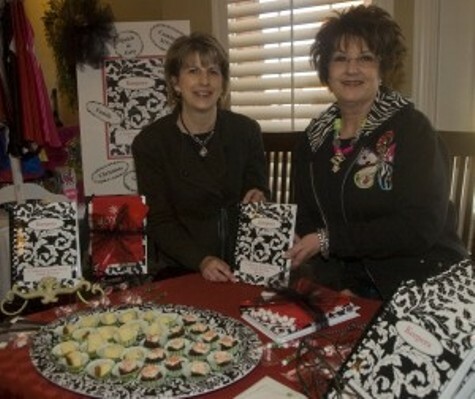 We used orange and black harlequin, purple paisley, and black and white polka dots. 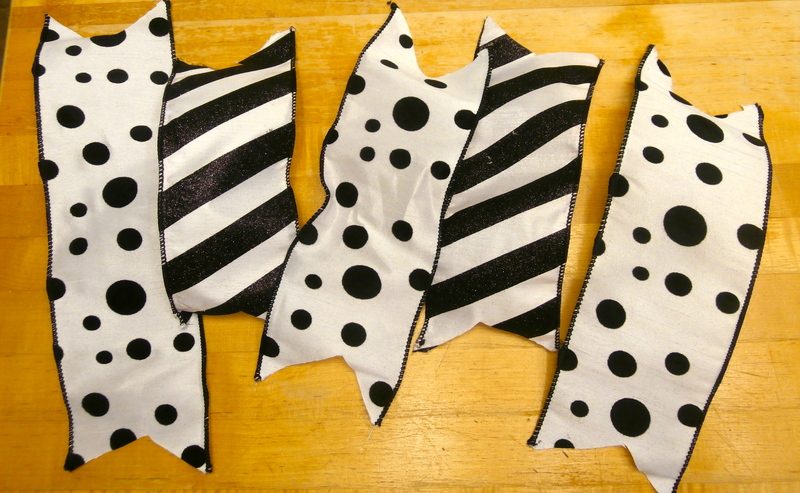 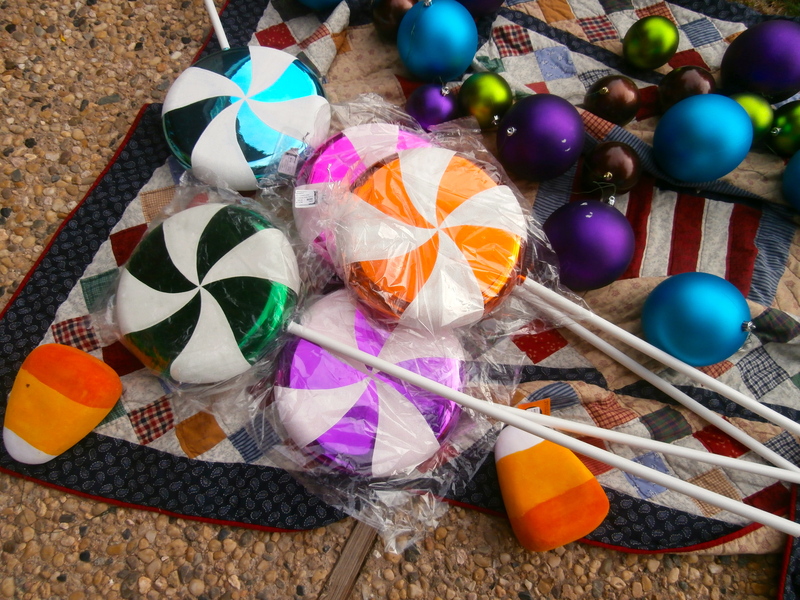 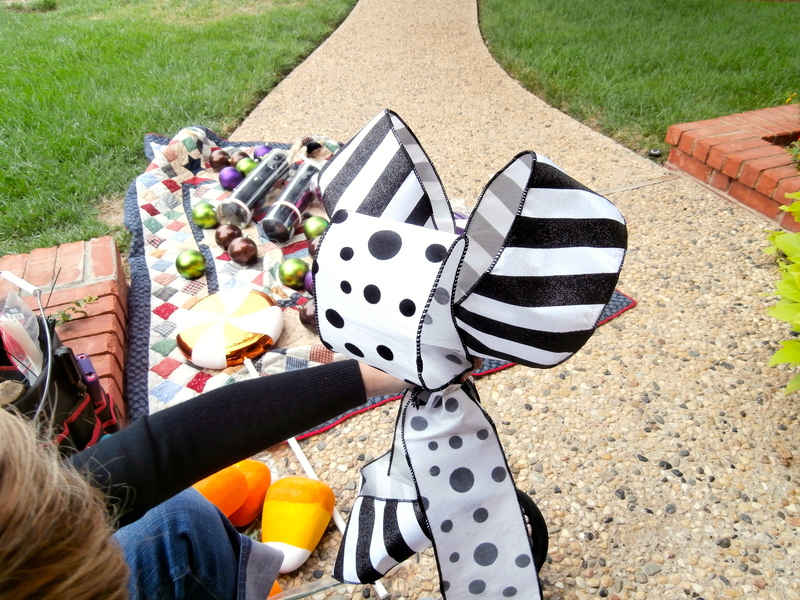 Balls in polka dots, black and white checks, glitter, and matte finishes are special treats to decorate with. 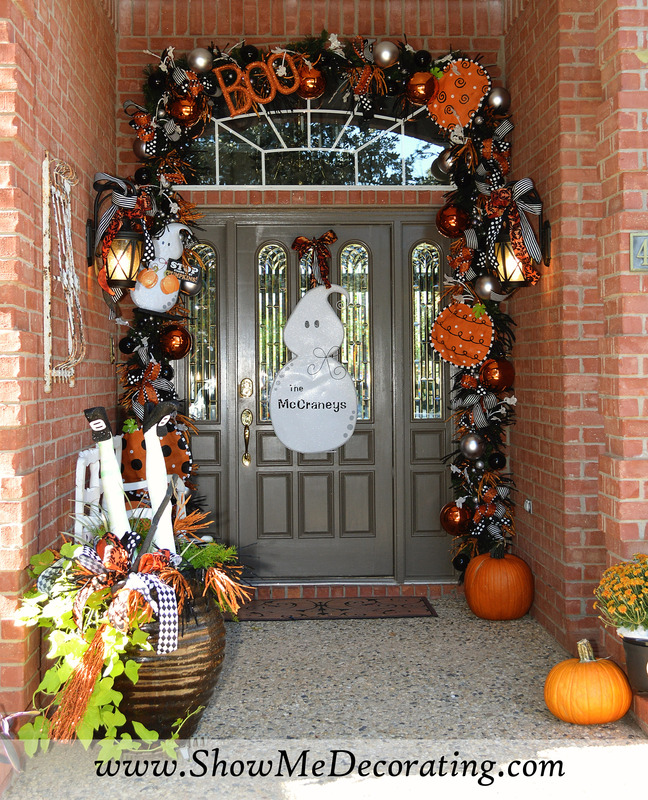 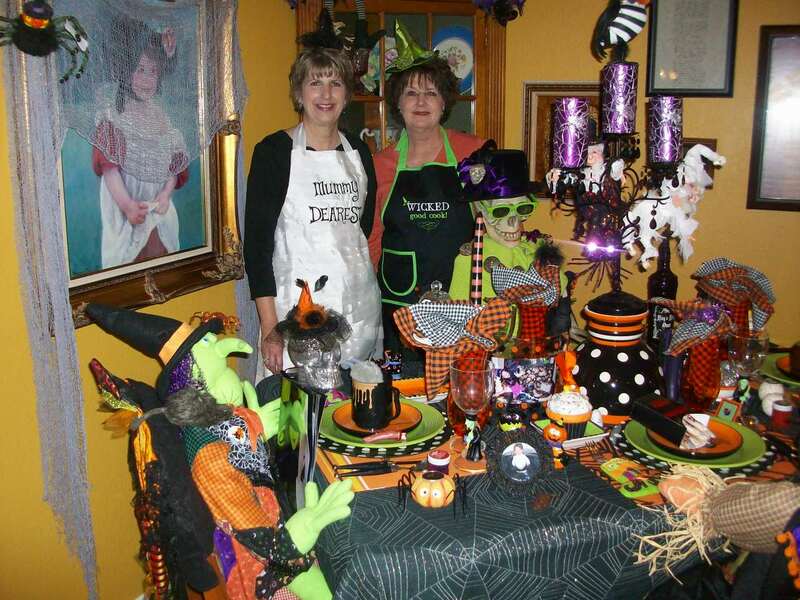 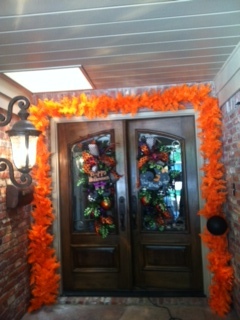 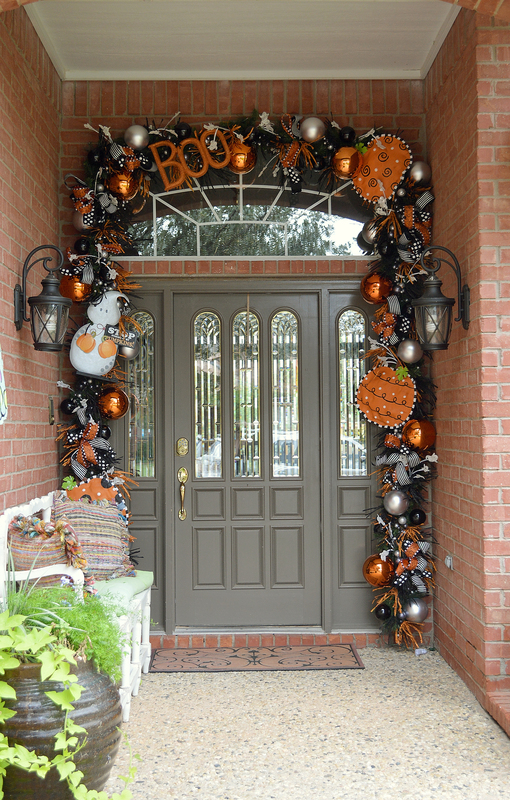 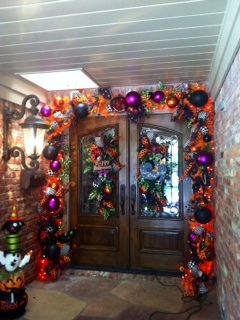 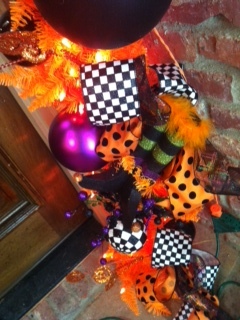 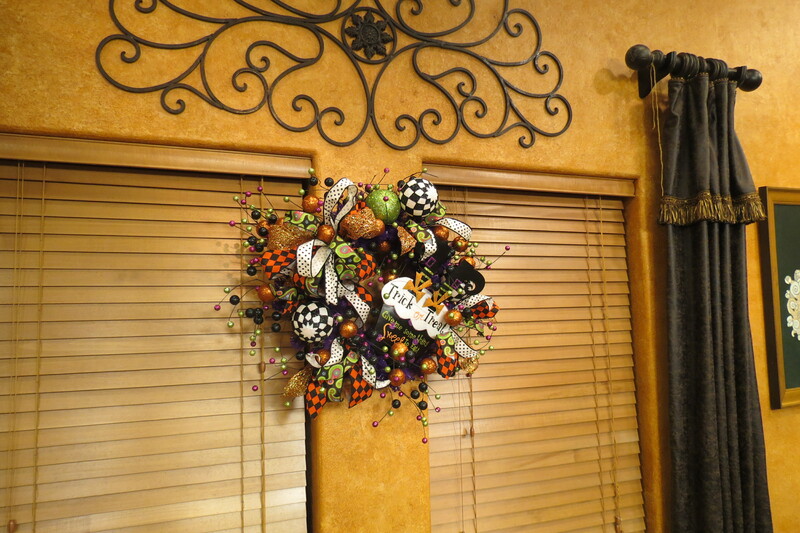 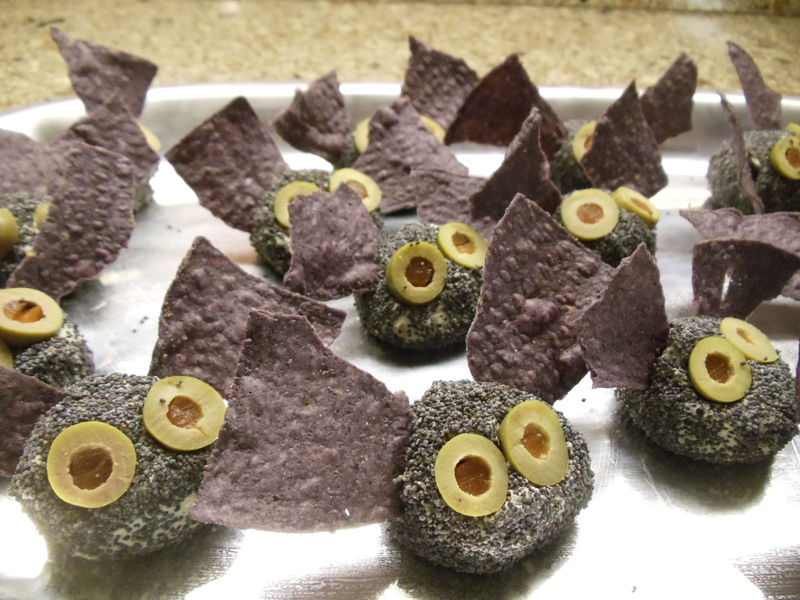 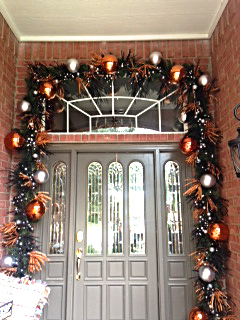 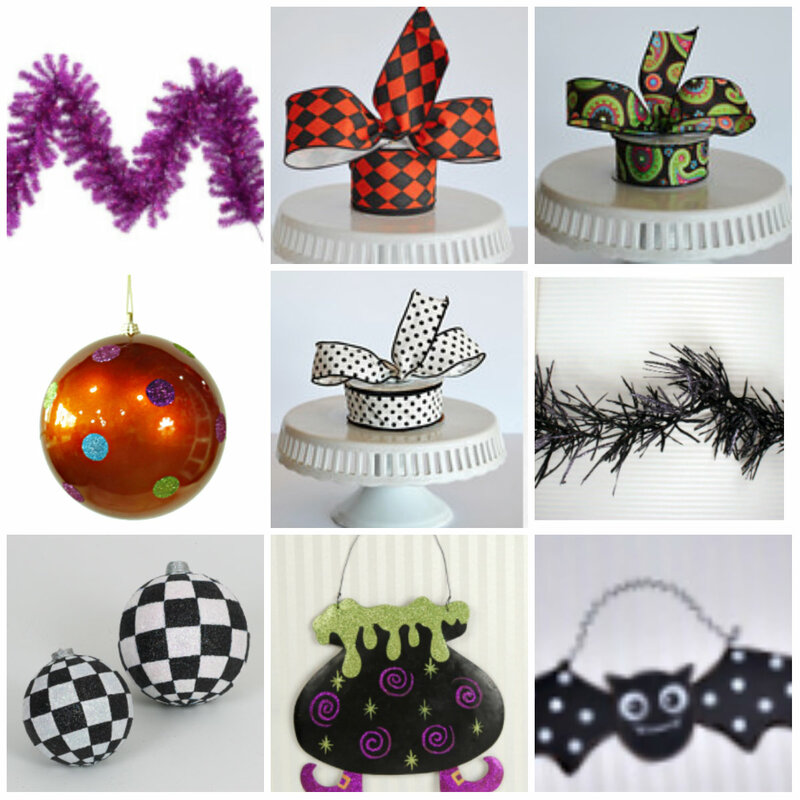 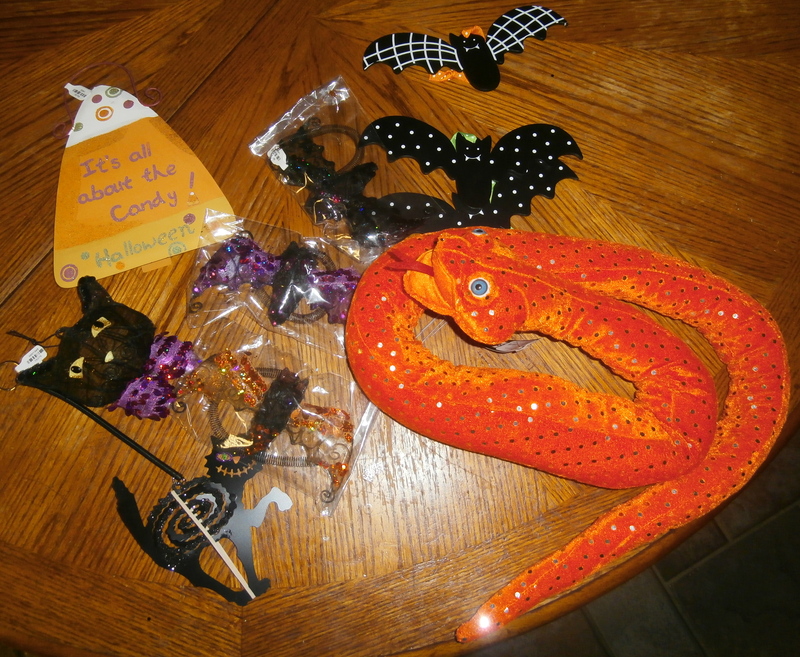 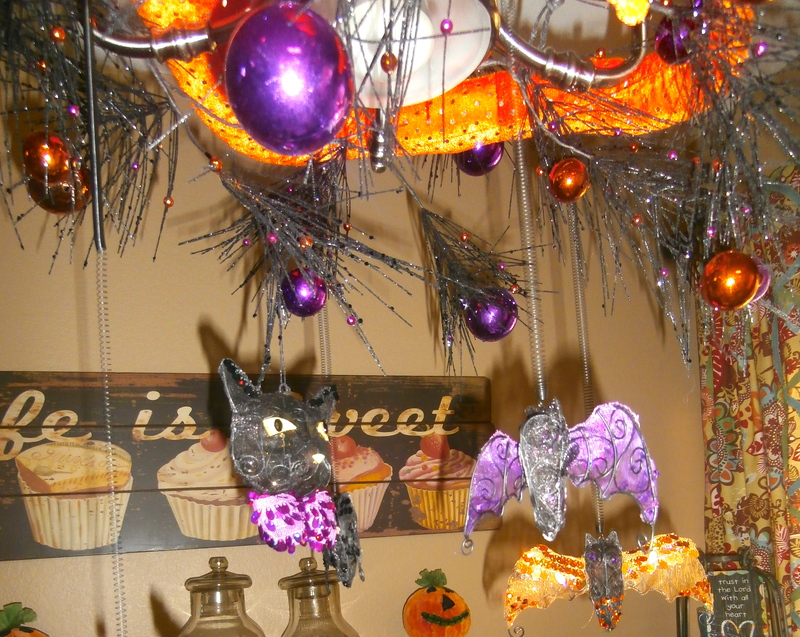 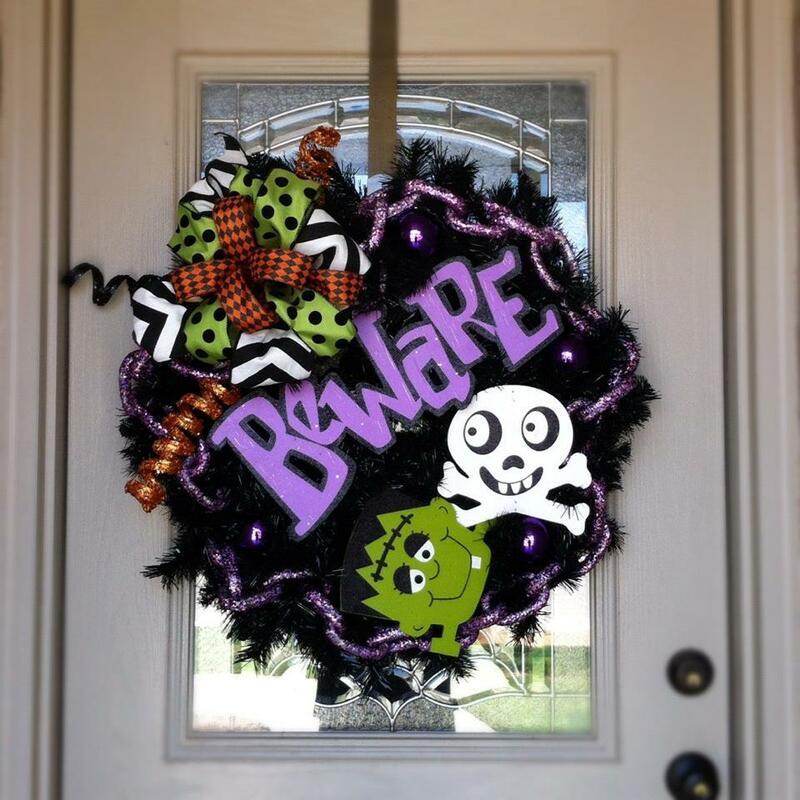 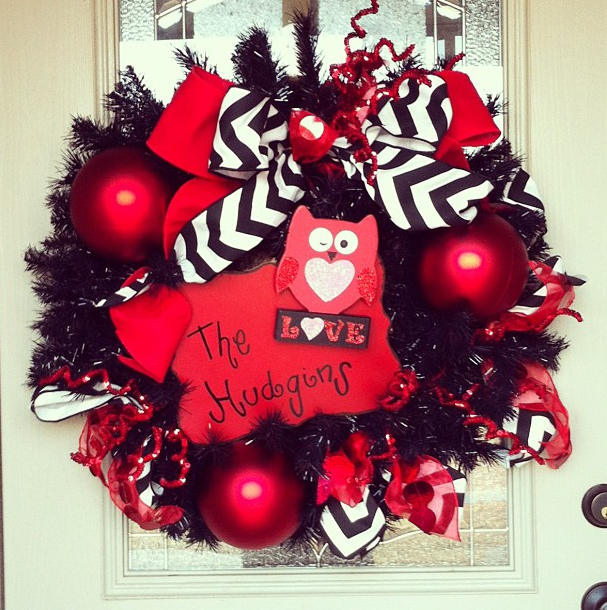 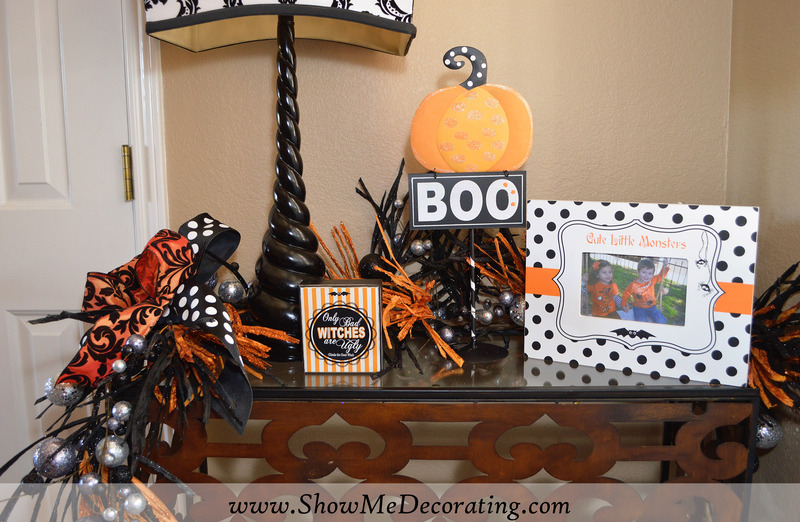 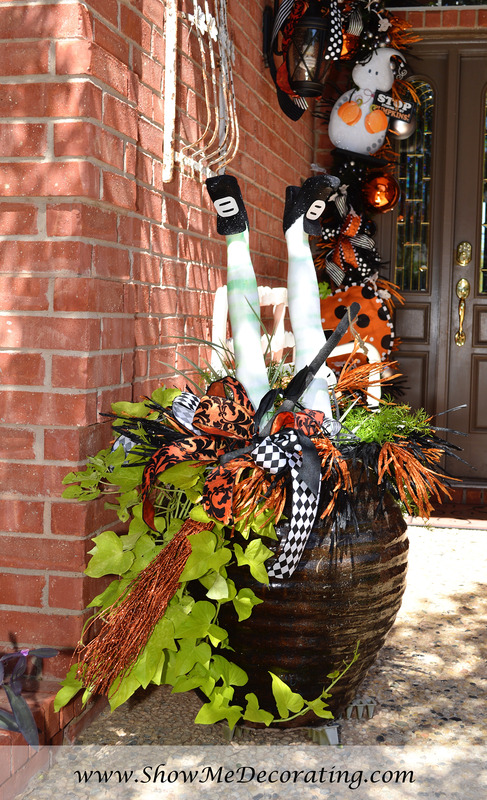 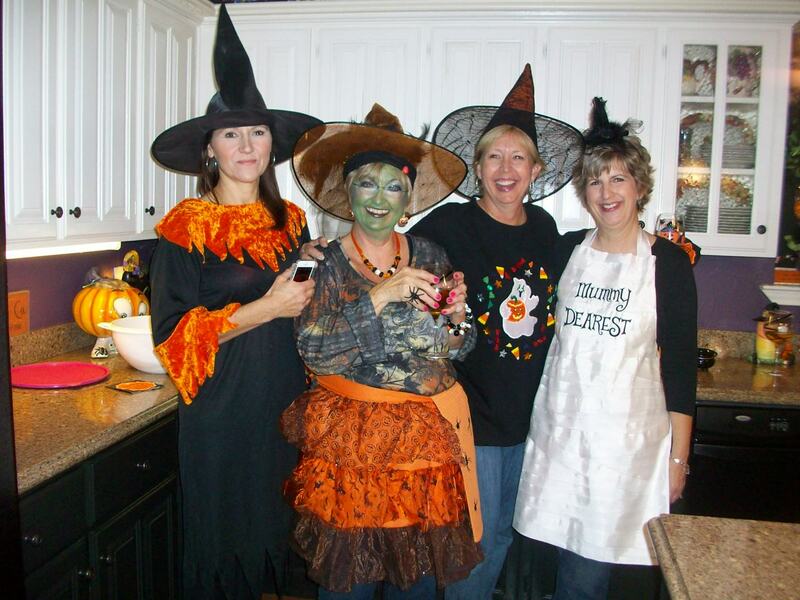 Focal points are added in last- bats, witches cauldrons, and Halloween signs carry out our theme. 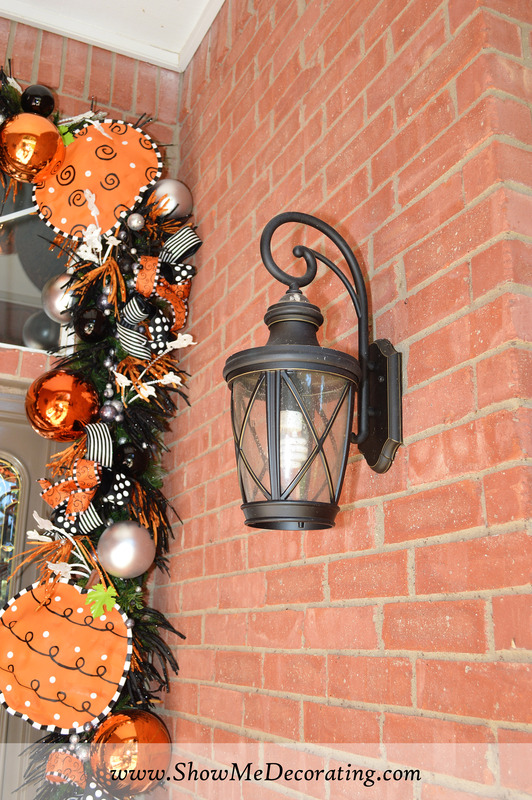 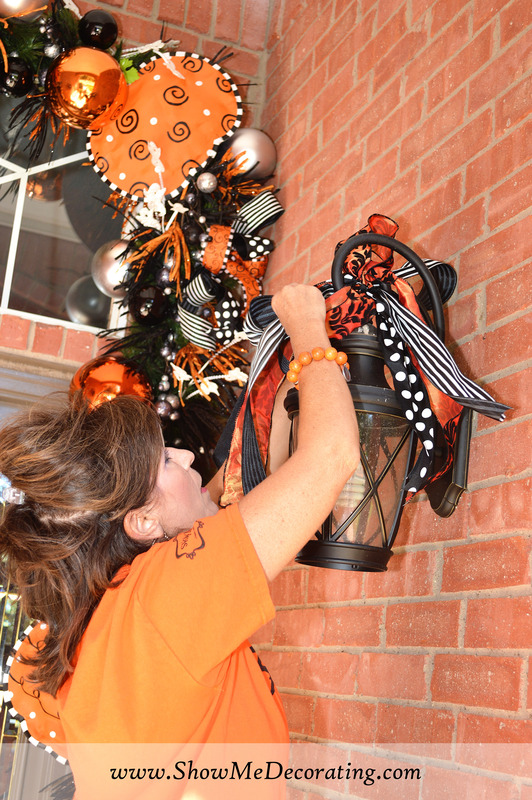 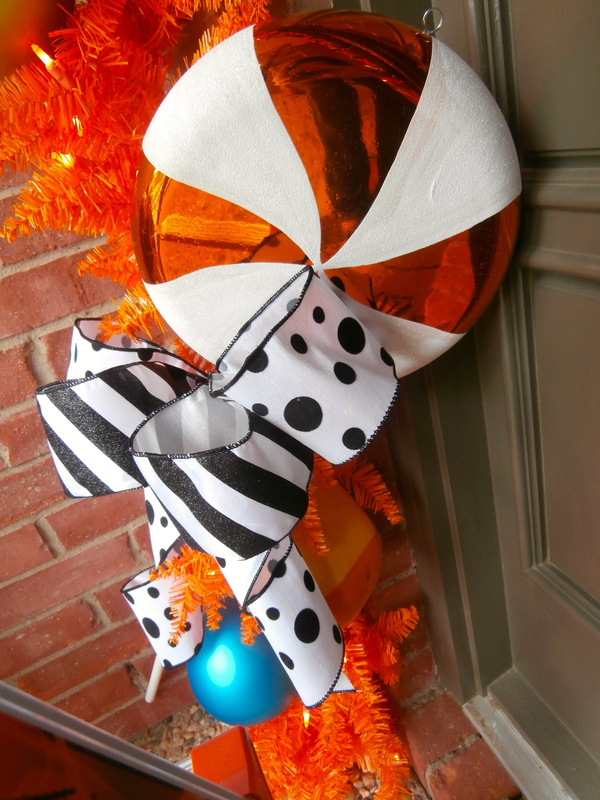 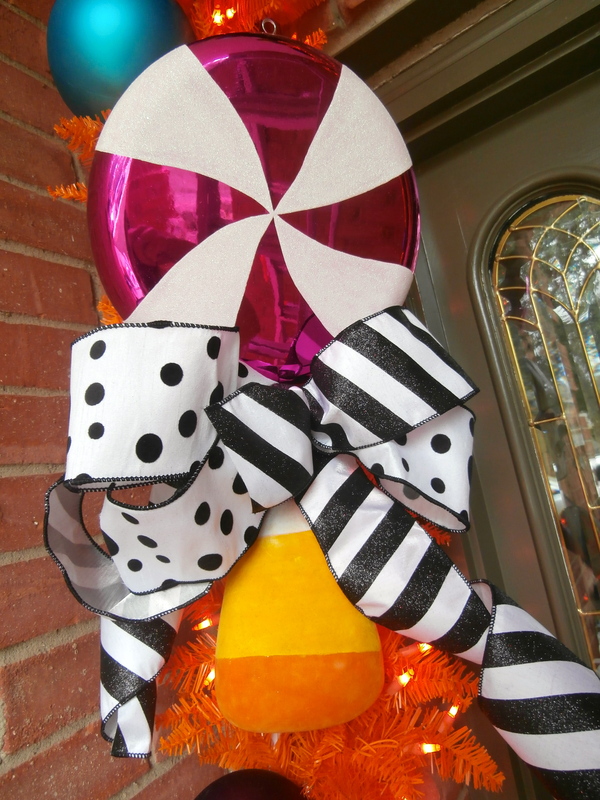 Did you see the Halloween sign tied to the lamp with a bow? 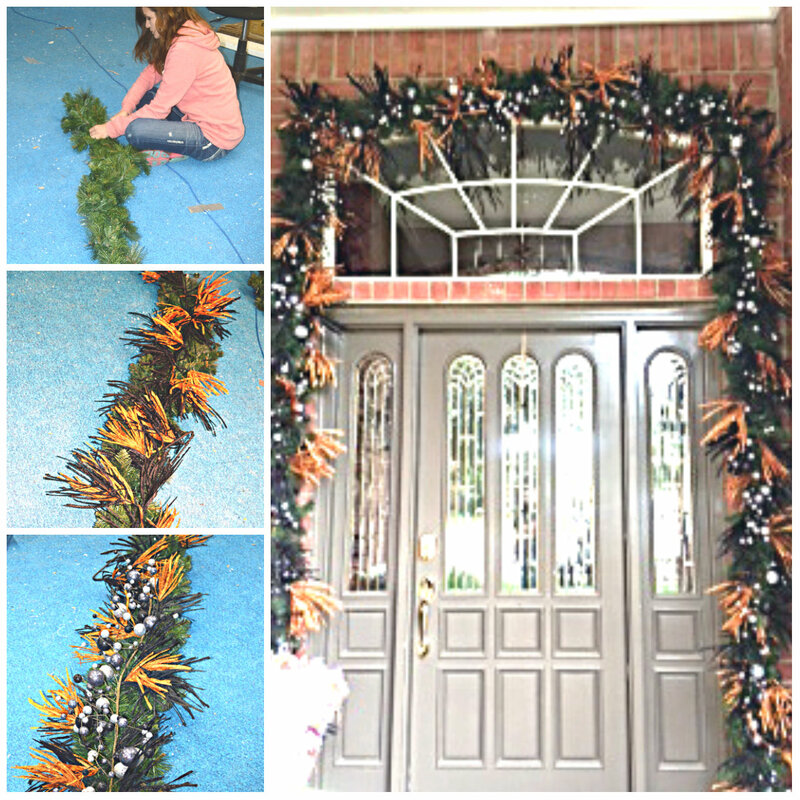 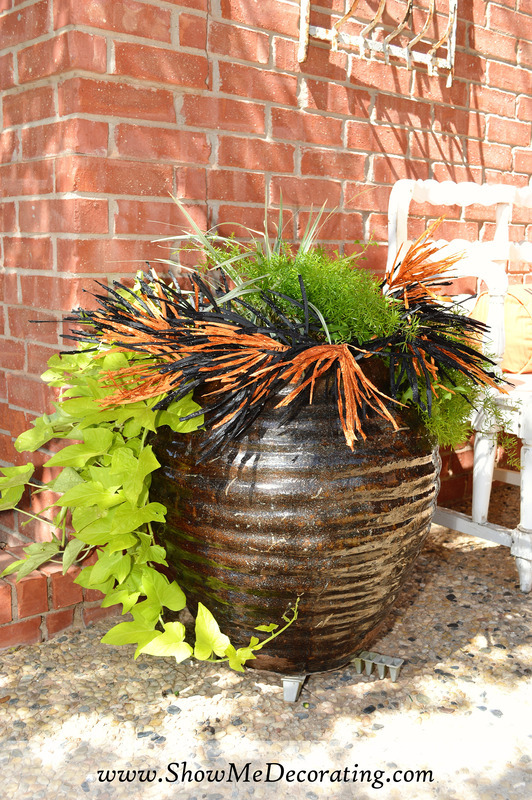 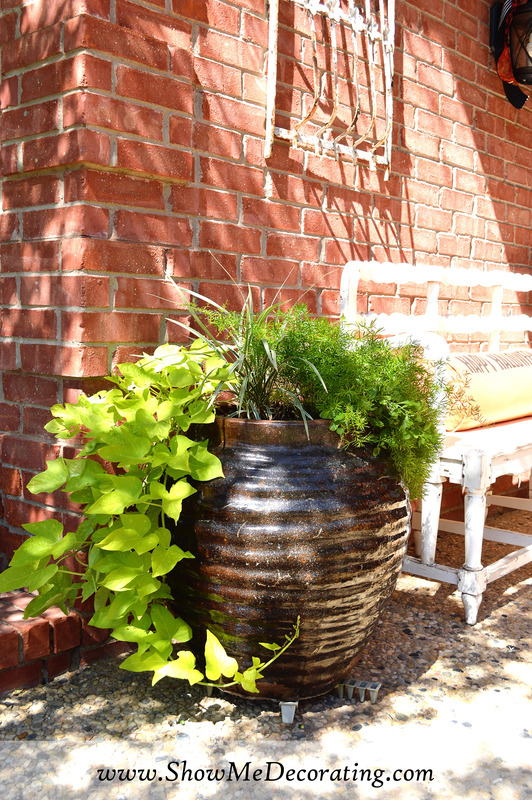 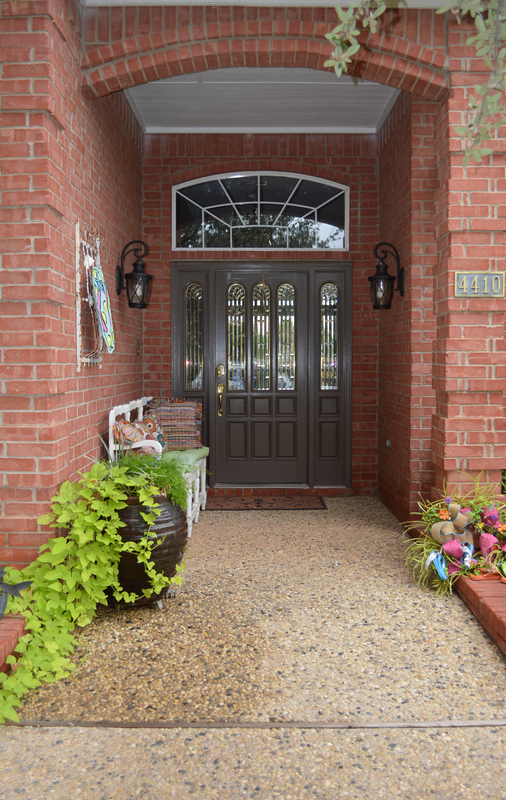 You can add a touch of any season anywhere! 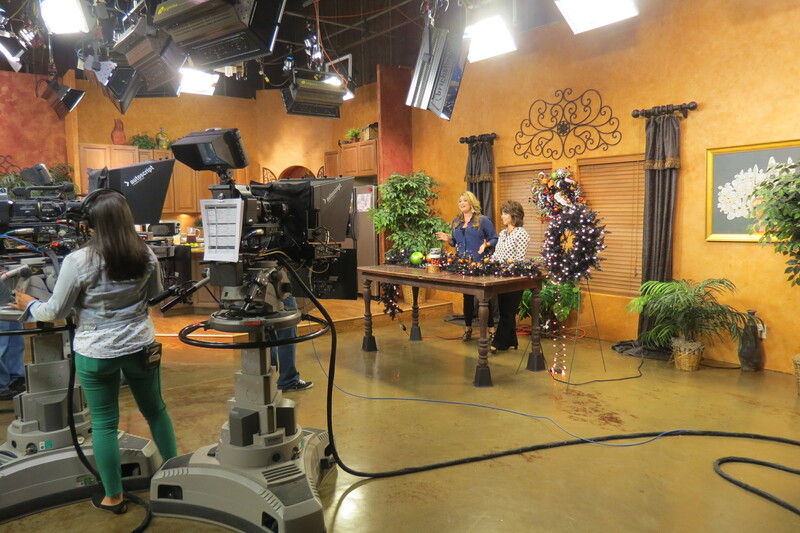 Sneak peak at Live TV show! 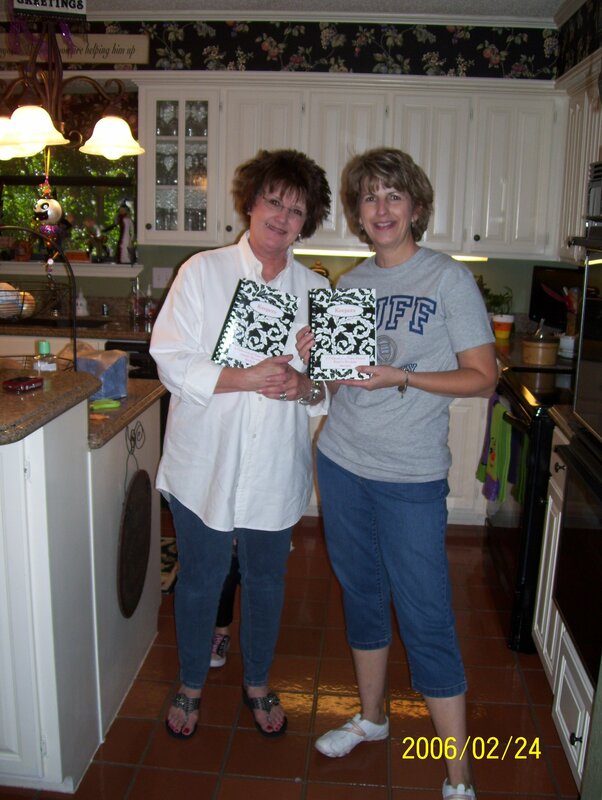 No script here! 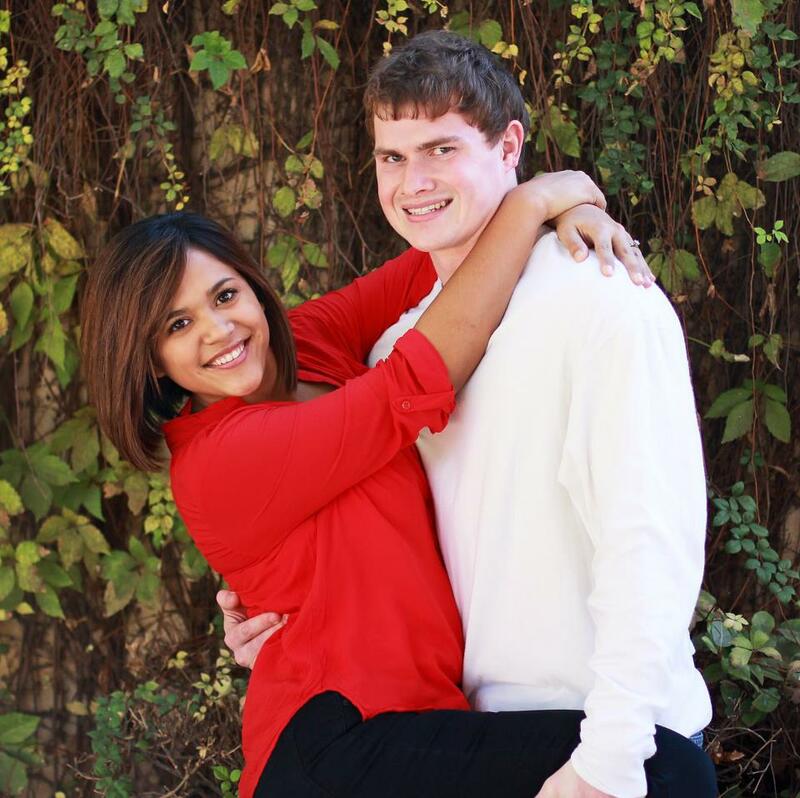 It’s just a conversation, YIKES. 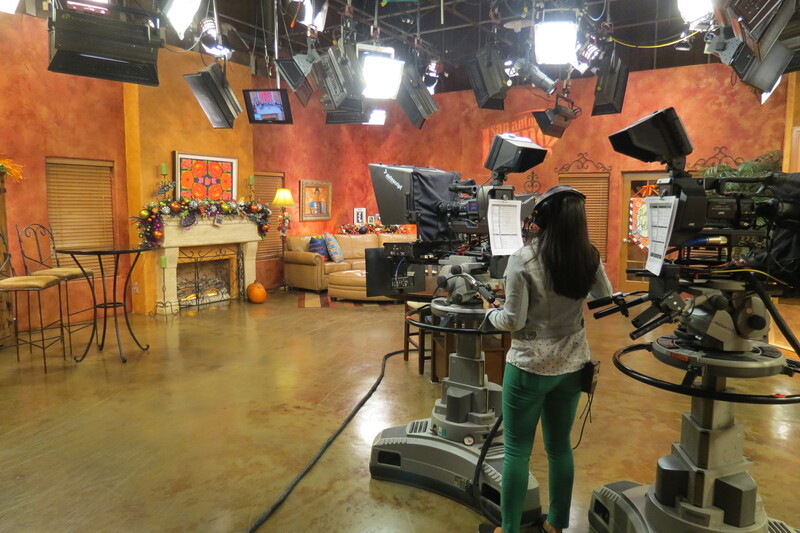 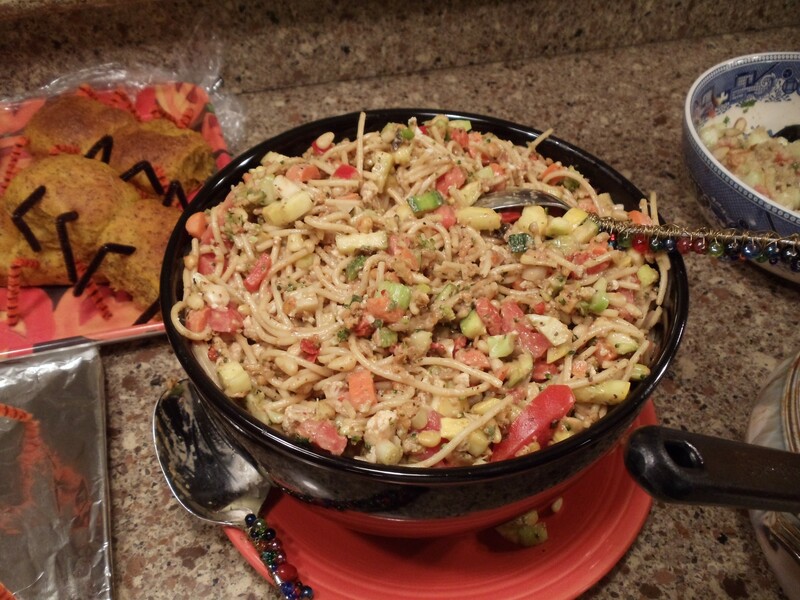 We’re blessed to work with such wonderful decorating ingredients that we love to show off so it makes it easy as long as we know which camera to look at! 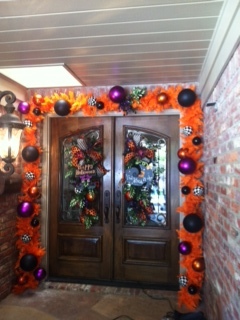 Thanks to the San Antonio Team for fabulous decorating.